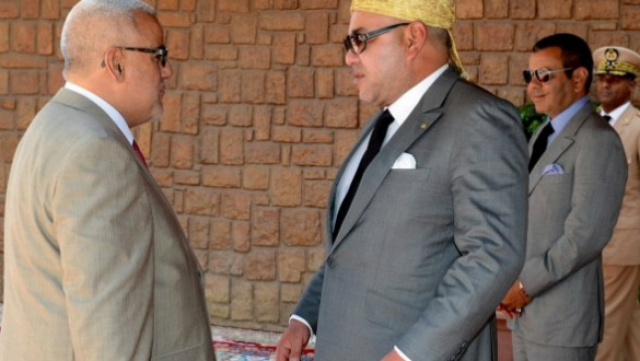 After a deadlock in forming a new government that lasted more than five months, King Mohammed VI decided to dismiss the designated Head of the Government, Abdelilah Benkirane, after he failed in his task to lead negotiations to form a new cabinet. Benkirane will be replaced by another personality chosen by the King from the moderate islamist PJD party that won most seats in October 7 general elections, the Royal Office said in a statement. “The King will receive this figure as soon as possible and will instruct him to form the new government,” says the royal office. The King took the decision in his quality as supreme referee and custodian of the supreme interests of the nation and citizens and in conformity with his prerogatives under the 2011 Constitution with a view to safeguarding the nation’s democratic choice and the smooth functioning of its institutions, the statement explains. The Royal decision was also taken in view of Benkirane’s failure to record any breakthrough in negotiations that resulted in a deadlock showing no signs of abating, recalled the statement. The staggering formation of a new government was hinted at with a serious tone by King Mohammed VI, in his speech on the occasion of the Green March, when he said that “the future cabinet should not be the result of calculations aimed at fulfilling political parties’ wishes, based on electoral arithmetic, as if there were spoils to be shared out.” “The government should involve an efficient, coherent structuring effort, consonant with programs and priorities,” the King had said. The Royal Office statement recalled that the King had repeatedly urged the designated Head of Government to speed up the formation of the new Government. Last December, two Royal Advisors , Abdellatif Mennouni and Omar Kabbaj, met with Benkirane and expressed to him the concern of the Sovereign regarding the delay in forming the new government. Soon after that, the PJD said that the Istiqlal Party (PI) will not be part of the next government in a bid to overcome the deadlock and forge ahead with negotiations. Yet, consultations led by Benkirane ended with a fiasco. After he secured the adherence of the PPS party to the coalition, his negotiations with the National Rally of Independents (RNI) ended up in an impasse.The RNI President Aziz Akhannouch conditioned the participation of his party by the withdrawal of the IP and the inclusion of his allies, the Constitutional Party (UC) and the Socialist Union of Popular Forces (USFP). For Benkirane, these conditions were “inacceptable”. He went as far as evoking that a “putsch” against democracy is taking place and that some parties are “maneuvering behind his back” to make the formation of the new government a “mission impossible”. The stalemate in negotiations put the country on the verge of a political crisis and had an impact on the country’s public spending as the adoption of the 2017 appropriation bill hinges on the formation of a new government. After five years in government, the PJD won 125 seats in October’s elections followed by its archrival the Authenticity and Modernity Party (PAM) with 102 seats, while the conservative PI won 46 seats. The fragmentation of Morocco’s political landscape makes no party able to win an outright majority. To secure the majority of seats needed to form a coalition government, the PJD has at least to enter into a coalition with 4 parties, putting the distribution of ministerial portfolios on a rocky road, not to speak of compromises on the policies of the different partners in the future government. With 12 parties represented in the lower house, the Moroccan stalemate indicates how too many parties can spoil politics giving way to incoherent governmental coalitions involving odd bedfellows including Islamists, former communists and conservatives as was the case with the previous government.